Are you working on remodeling or building a home and want a cozy space to gather with friends & family? Or maybe a commercial space that could use a jaw-dropping focal point? No matter the size project, our Fireplace Advisors will help find the perfect fireplace for your space. And what better time to start than the new year? Whether you’re looking for the traditional warmth of a wood burning fireplace, the modern elegance of a see through gas fireplace, or an outdoor fire pit you can gather around with family or friends, your dream is our reality. Fireplaces have been around for centuries and fires have always been a natural gathering point for even longer. Adding a fireplace to your home can give you an array of benefits, including creating warmth, adding unique design elements to your space, add value to your home, and create a welcoming space to entertain friends & family. No matter the type of fireplace you choose, wood or gas, it will add warmth to your space and can even help supplement your heat in those chillier winter months. Fireplaces offer an especially cozy form of heat, and there isn’t an experience quite like enjoying the warmth of a fire with family & friends. Standard fireplaces or custom fireplaces, either can become the focal point of your space. Fireplace designs have evolved from traditional open-hearth designs to expansive one-of-a-kind designs that truly set you apart from the rest. Having a custom gas fireplace or wood fireplace in your home is a worth investment that will make your home more attractive to future potential buyers or renters. According to U.S. News and World Report, 68% of real estate agents reporting that fireplaces can increase a home’s value. A fireplace in your home can bring together a room and create a space for your family, friends & guests to gather; especially during colder months when the warmth of a fire is hard to resist. Not only can gas fireplaces and wood burning fireplaces add to your home, but they’re the perfect focal point for any business. 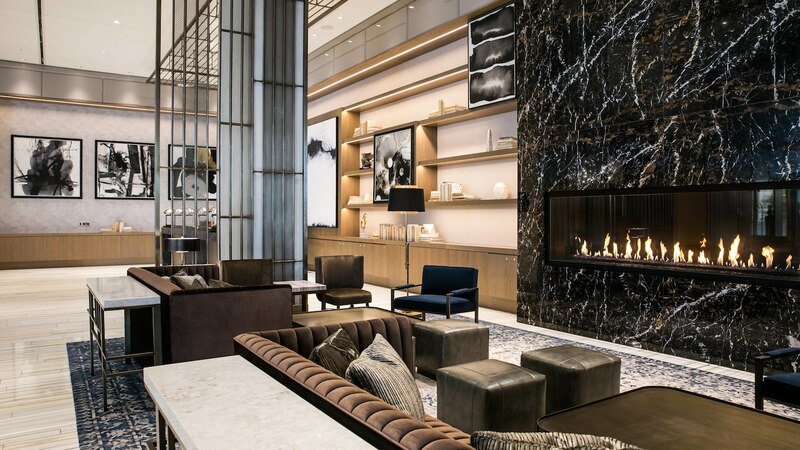 From cost-savings in winter months to new opportunities to engage with customers; here are just a few reasons you should consider a fire feature for your commercial space. 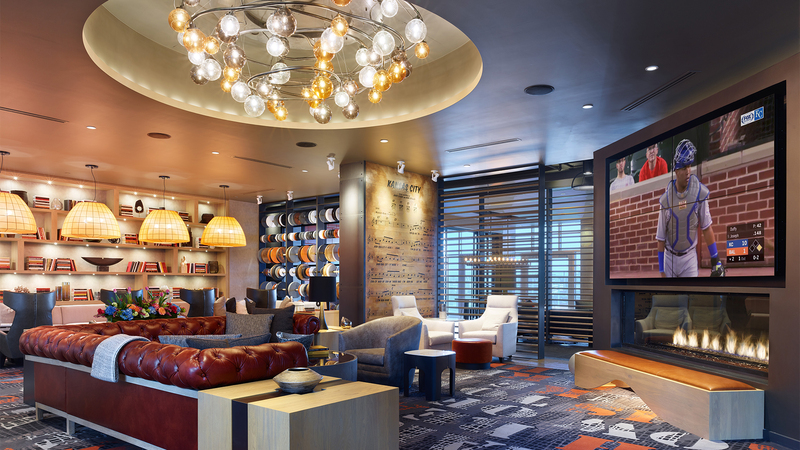 With a gas or wood fireplace in your space, you have an area specifically designed to draw guests in, getting them to spend more time and providing more opportunities to engage and sell products. Not every fireplace is the same, we can assure you of that! Design options are practically endless with different styles, sizes and materials available, especially if you’re looking for a truly custom fireplace. Our team can design a fireplace unique to your business – from cozy, traditional wood burning fireplace warmth to modern see through gas fireplaces that engage customers from multiple spaces. A great benefit of wood fireplaces and gas fireplaces is the energy savings. We know all too well the cost to heat businesses in cooler months can skyrocket. Why not consider adding a efficient see through fireplace, or a modern linear fireplace to add additional warmth to your space? We must admit, people love standing next to a fire, and with a well-designed fireplace in your business, your customers will feel more at home in your store. This added comfort could make your business more attractive to customers, and they could choose to return to your business rather than venturing into a competitor’s. Fireplaces can be the centerpiece of any room with the right innovative and sophisticated design. 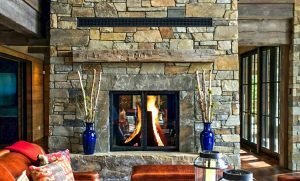 Acucraft Fireplaces specializes in designing and building a variety of different fireplaces including the classic wood burning fireplace, modern see-through gas fireplaces, and even outdoor gas fire pits. 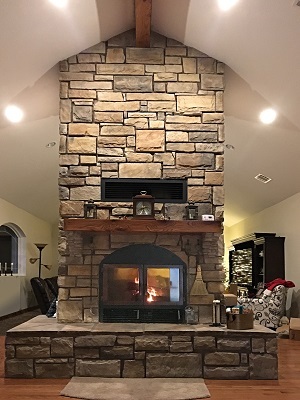 Whether custom or standard fireplace, every fire feature starts from the ground up so homeowners and commercial builders alike can design a fireplace that perfectly complements their space. 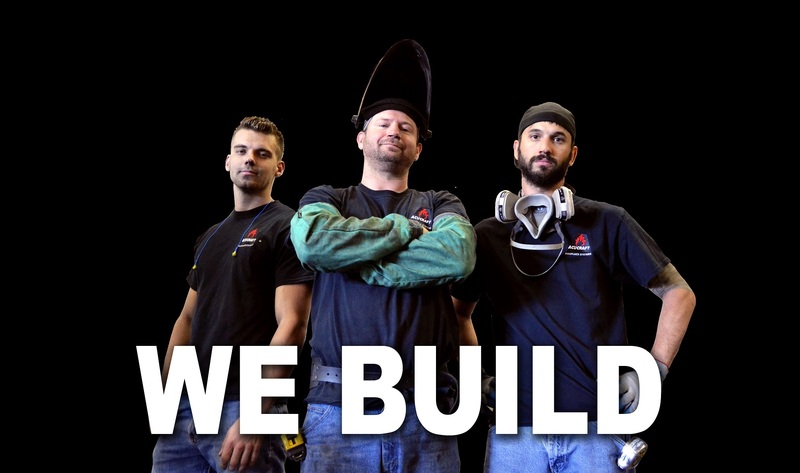 Last year Tomas, a home owner, visited the Acucraft website and emailed Fireplace Advisor Ben Krump. 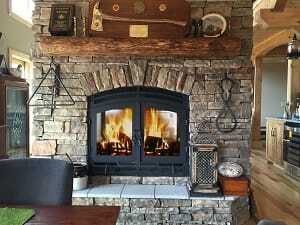 Tomas shared his gas fireplace idea for a new home he was building in Washington. “We are planning a frameless 3-sided peninsula fireplace,” Tomas wrote. “A rear-vented peninsula design with the back stuck into a vertical framed ‘column/box’ which will house the vents and intakes.” This clean design would provide open space above the fireplace. Tomas wanted to avoid unsightly supports so that he could enjoy uninterrupted, three sided viewing of the large, beautiful flames. He also desired cool glass technology so that the glass would be safe to touch. Certainly, Tomas had chosen the right custom design fireplace manufacturer to make his ideas come to life. For over 40 years, Acucraft has specialized in designing and manufacturing one-of-a-kind custom fireplaces. Tomas’s custom peninsula gas fireplace idea will add the perfect focal point for his new home entertainment area. The Acucraft Design Team worked out the details and engineered an innovative self-supporting cantilever system design. This design allows glass-on-glass for seamless three sided viewing of the largest, most beautiful flames on the market. Then the Design Team produced and submitted 3D drawings for Tomas’s approval. Solid 7-gauge steel makes up this peninsula cantilever support system. 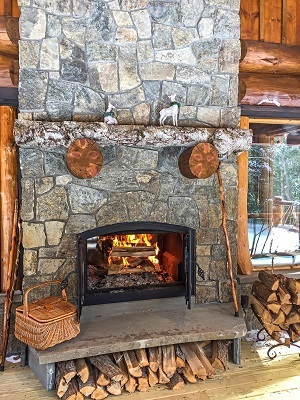 Upon design approval, Acucraft’s highly skilled Fabricators, Welders, and Finishers built Tomas’s custom peninsula gas fireplace using the highest quality materials and components to ensure him with a lifetime of enjoyment. The interior of Tomas’s custom peninsula gas fireplace was a cantilevered superstructure that was fabricated and welded with solid 7-gauge steel, enclosed with a zero-clearance insulated panel system, and finished with 22-gauge metal sheets. After the custom peninsula gas fireplace was fabricated, welded and finished, it was factory tested for performance and safety before it was hand crated and delivered to Tomas’s new home. Once Tomas installed his custom gas peninsula fireplace he snapped a few photos and sent them to the Acucraft Team. We must admit, the fireplace looks stunning within his new home! This impressive glass-on-glass peninsula gas fireplace makes a terrific focal point and offers flame viewing from multiple angles. This Acucraft peninsula gas fireplace is a striking way to divide Tomas’s space with an attractive focal point and showcase the tallest, safest and most beautiful flames on the market. This custom Acucraft peninsula gas fireplace offers beautiful, see through fireplace flame views. The peninsula gas fireplace offers a beautiful focal point and functional heat for your space with dual pane glass cooling for safe-to-touch glass. 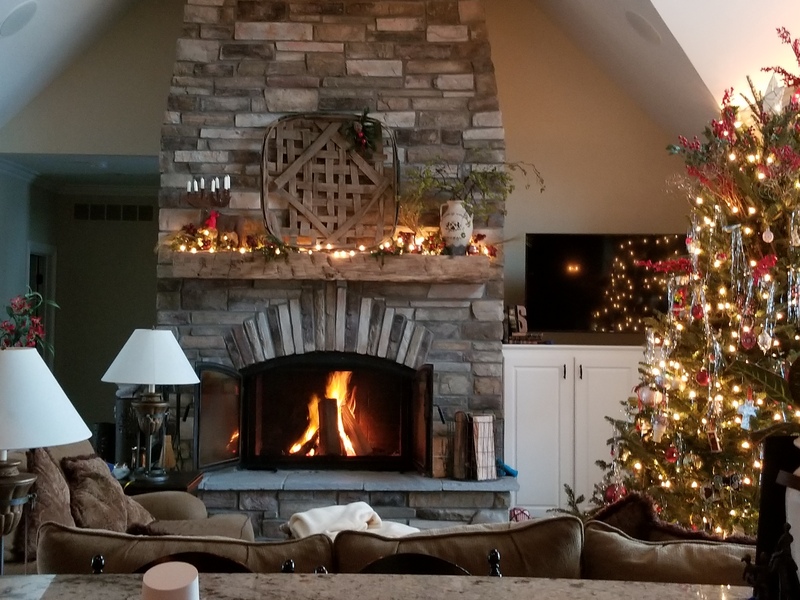 Thank you, Tomas, for sharing your beautiful custom peninsula gas fireplace photos! We hope you, your family, and friends enjoy the warmth and flame views for many years of happy burning! Interested in knowing more about Acucraft Peninsula Gas Fireplaces or custom gas fireplaces? 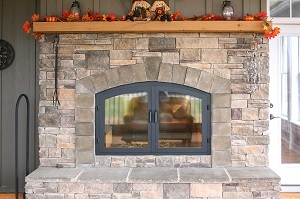 Request a brochure or talk with an Acucraft Fireplace Expert today toll free: 888-317-6499 or info@acucraft.com. 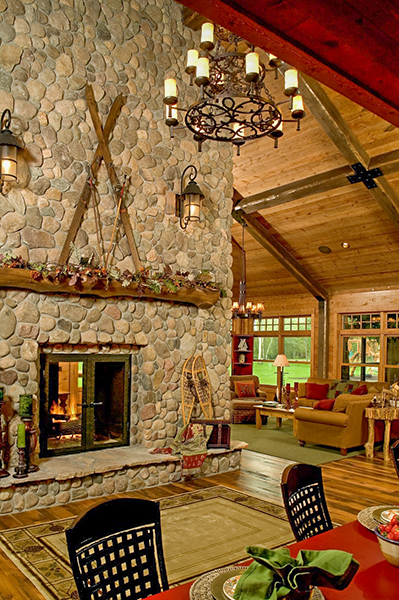 For over 40 years, Acucraft has been designing and manufacturing one-of-a-kind wood-burning and gas fireplace systems. Whether you’re looking for a custom gas fireplace, a wood-burning home-heating solution, or an outdoor fire pit, Acucraft has a fireplace system to fit seamlessly within any residential or commercial space. 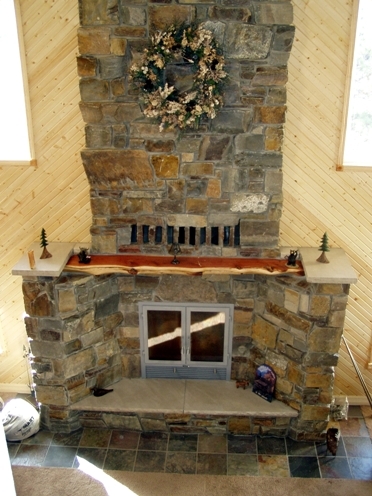 Start your fireplace dream today, call Acucraft toll free at (888) 317-6499 or email info@acucraft.com. A common misconception is that you have to have a roaring fire in order to feel any heat from your fireplace; understanding the four stages of fire help ensure you’re building the most efficient, heat-producing, safe fire in your wood burning fireplace. Lets start with the “Start Up Stage.” This stage involves warming your fireplace flue with the proper settings and using a quality firestarter. Open your combustion air and damper controls to draw combustion air into your firebox. More combustion air is needed to start your fire. You’ll need to warm up your flue to prevent creosote build up. Start your fire using dry kindling and/or a quality firestarter such as a wax and sawdust firestarter or small, dry sticks and twigs. Another very common misconception is the use of newspaper as kindling to warm your flue; many chimney sweeps will tell you that burning newspaper to heat up a cold flue, or starting a fire without warming the flue first are top reasons for creosote build up. Over time creosote build up can lead to a chimney fire, which can cause severe damage to your home. Next up is the “Creosote Stage.” Once the flue is warm, you can then add dry, seasoned wood to the kindling fire. Burning dry wood will maximize your heat output, produce less creosote, and keep your glass clean through our air-wash system. 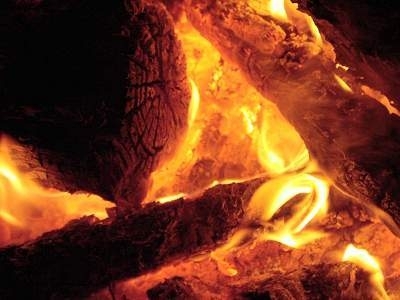 Make sure the wood you are burning is cut and split to less than six-inches in diameter, and stored in a dry location until the moisture content is less than 20%. The best way to know the moisture content of the wood is to measure it with a wood moisture meter. Once your fire is lit, the air should freely flow up and out of the flue system. During the creosote stage the wood will hiss, bubble and crack on the ends as the moisture evaporates and the temperature increases. Now onto the “Heating Stage.” Once the moisture has burned out of the wood and the wood burns clean without grey smoke, reduce the air coming into the firebox by dampering down the combustion controls. By doing so, the flames will take on a slow moving orange color. Maintain this type of burn for maximum heat and minimal creosote build up on your glass and in your flue. The heating stage, on average, can be maintained for 6-10 hours between loads of new wood, depending on your wood and your fireplace. And finally, the “Die Down Stage.” If you let your fire go out with the controls dampered down, your flue will begin to get cold at the top, and creosote can build up when the cold meets with slow moving smoke. Instead, during the die down stage, open your damper controls to keep the flue warm until the fire goes out. This will help reduce creosote build up, keeping your fireplace and home safe!